Unique to us in the UK. (Hybrid Musk) Large clusters of small, single flowers of blush pink borne on a long stem. Fragrant. Unique to us in the UK. (Modern Shrub) A seedling of the rambler Francis E. Lester, to which it bears resemblance, having slightly larger white, pink edged blooms in abundance. Foliage dark and healthy. Bred by Kleine Lettunich in the USA and named for her daughter. 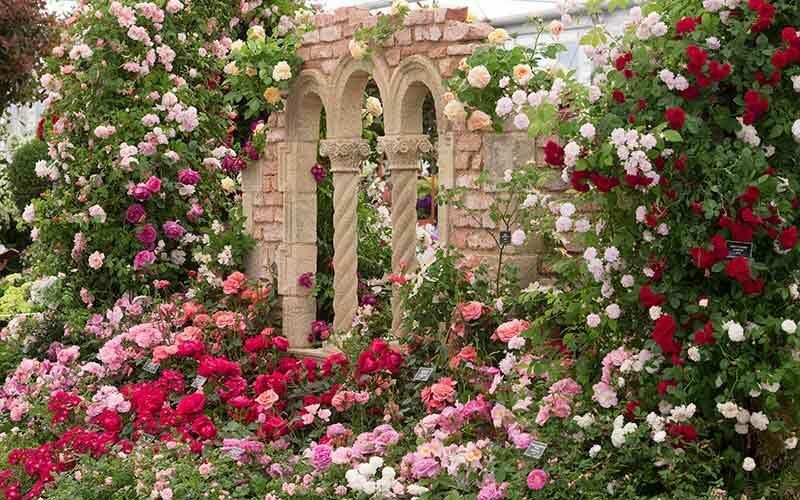 (Ground Covering Rose) Suitable for ground-cover or cascading over low walls etc. Small pearly-pink to white flowers produced in abundance and repeats if deadheaded. (Species) 'Eglantine Rose', 'Common Sweet Briar' Foliage scented of apple. Quite thorney and dense in habit. Flowers soft pink and single. A most useful hedging rose. Red hips later.